My project in Material Science in college was an embarrassment. I tried to reinvent something that is being commonly done. Right, that was the objective. But doing something more complicated than how it’s usually done is never good. Like tracing the holes in a wheel for vulcanizing process. Currently they just pour water on the tires to look for bubbles. Then that’s where the hole is. So I looked for an alternative. I thought of smoke. We would create an improvised smoke machine and pump. Then that’s it. And my poor teammates accepted my proposal as I insisted. It seems you got a flat tire. Last December 15, 2012, I was invited by my former professor in Material Science, now the PUP-ECE Department Head to be part of their thesis panel of evaluators. It was my second time. Coming from a night shift, I hoped not to doze off during the thesis defense session. But Sir Mari (that’s how our professor is affectionately called by his students) knew how to keep me awake. After serving us breakfast, he told me that I’d be giving a talk in behalf of the other alumni at the opening ceremony. A surprise one. I wasn’t ready for it. But I was glad to be given that chance to speak to the students and representing the former ones. I love sharing my thoughts. If not, then what the heck am I doing on this blog. So this was thesis defense. We could see the drained energy, effort, money and time in the eyes of the students. For all the stress they got, being told that all of these won’t matter after they graduated would be the last thing that they needed to hear. And that’s what exactly I told them. I said that they would hear mostly from professional people that majority of what they learned from school will be useless when they apply for work. True. That is if they are talking about the information we get from attending school. But at the same time they are wrong. Because they are totally missing the point of going to school. I’m pretty sure that after a year you’ll forget majority of what you learned from all those subjects in college. Or even for just a couple of months. The information we got is just 10% of the whole picture. It is the 90% that we’re expected to bring outside. How our teachers push us to use our creativity, resourcefulness, hard work, imagination, inventiveness is what remains after leaving the campus. How we communicate, handle and relate to difficult thesis-mates prepare us on a harsher society out there called an “office”. And surviving the terror profs makes us ready to face those power-tripping heads of the oval table. And some educators add damage to it thinking that making it easy to students by spoon-feeding them with everything will help them. But rather, most of these kids would become wimps and whiners in the future who think they are entitled to just about everything. And that all things must be served to them on a silver platter. As second parents, teachers are expected to discipline their children. Just like on this earlier blogpost, they must not hesitate in making things harder on these young citizens as early as possible. I did not include this part in my speech. Majority of my professors aren’t like that anyway. They made it hard for us that we almost didn’t have anything left to whine about. And that made us tougher. And I thank them for that. We were not sent to school just to get merely informed. We're there to learn how to look for and utilize the essential and right information necessary to pursue whatever we will be doing in the future. So then my MatSci group continued with my proposed “tire-holes detector”. We created the improvised tire pump and the smoke machine. Both were functioning well individually. But combined, it hardly worked. And looking for the parts and materials for it was tough. But we passed. What we lacked on the prototype, we made up on the demo and the explanation. Maybe. I’m not sure. But luckily we made it. That whole tire-hole detector made up of improvised smoke machine using Glycerine solution and tire pump made of PVC pipes, it sounded cool. But compared to just pouring water and looking for bubbles from the holes, what was I thinking then? Good for me I wasn’t part of the panel then. I would have flunked myself. I often see lot of people rant about churches not being taxed. I find it hard to see how some people keep turning a blind eye on these churches which have visible charitable institutions going on for centuries like orphanages, homes for the old people, hospitals and others helping millions of people around the world. And using money coming only from donations of members making the deed a collective effort without one single person credited for it. And each of these people already paid their taxes and given their contribution to the Church for a good cause. So taxing this money again will not make this people suffer but the beneficiaries in their institutions. And these critics probably haven't heard about some of those billionaire businessmen who get away from paying taxes by setting up and donating to their "foundations" and "charitable institutions". And the whole world is giving them all the credit for all these “good deeds” using the money we paid by buying their over hyped and overpriced items. There are too many of them yet how visible these “foundations” are compared to what the Church have. I saw and know a few of them that really works anyway. but how about you? Anyway, that is really not the point but I hope you get it. There’s a big difference to my Christmas next week compared to those recent years. It will be the first time we’ll be celebrating it as a family; me, my wife Cel and our son Mik. It also means the first time that we’ll be doing rounds to my kumares and kumpares for my son’s aguinaldo. Either we’ll really do that or not, I won’t say so ninongs and ninangs can’t hide. Just kidding. 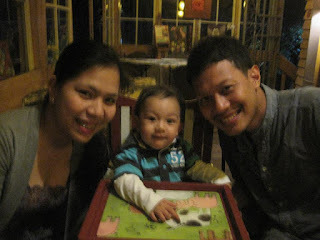 Celebrating our 2nd wedding anniversary with Mik at Vieux Chalet last October. I was tagged by Fiel-Kun, a fellow blogger on his chain post about Christmas wish lists. Before I was tagged, I had drafted already the body of this blog post. So rather than having a duplicate, this will serve as a reply to him. But I won’t be able to follow the format so apologies for that. If you’re a catholic then you should know the drill. If not then here are some tips. Go to your local church. Go to their office and ask for the schedule of confessions. Sometimes there are billboards where you can just look at. Then arrive at the confession schedule of your church. Prepare for the list of your deeds you need to ask forgiveness for. It doesn’t need to be a written list as it could be a mental one. And make sure you know your basic prayers. And if you have all this, fall in line at the confession box and wait for your turn. Then the priest will guide you on the process and after you’re absolved of your sins thru the authority passed on by our Lord to our priests, listen to the penance they will ask of you. Then do it right away. For the non-catholics, the sacrament of confession is only allowed to you on special cases. I respect your decision if you can’t grant my wish. I know you have a different belief on this. But you can read thru this link so you’ll get a better understanding on why we do this. It’s also a good read for fellow catholics who do not fully understand the sacrament of penance. It’s always a good time to go to a mass. But it would be the best time if done after a good confession. Your soul is clean and open to all of the overflowing graces we receive from the mass. Thank God for that opportunity you are given to ask for repentance. Pray for blessings and guidance for your family, friends and yourself. It’s sad to see majority of Catholics lining up on the communion stations receiving the Eucharist by hand. What’s worse is there are some ministers who seem to encourage it. One instance is when I attended a mass (not in our Cathedral) and lined up for the communion. It was my turn and I was in front of the minister and waiting to be given the Eucharist. There were two lines. He continuously gave communion to the other line while I was there standing for quite some time already. I saw that on the other line, all of them where holding up their palms signaling that they would receive communion by hand. I continued waiting until I gave up as there were lots of people behind me. I received it by hand. I felt bad. I wanted to ask about it after the mass but I forgot about it when I approached a friend singing with the choir after the mass. But every time I remember that incident, I really felt bad as I don’t always receive communion unless I have gone to confession or feel that my conscience is clean. Though of course, none of us are fully worthy to receive the Body of Christ. So what’s wrong in receiving communion in the hand? In the history of the Catholic Church, the celebrating priest’s hands are the only ones allowed to touch the Eucharist and to put it in the mouths of the faithful. But due to circumstances, the Church allowed Eucharistic ministers to do it by giving them special authority during communion. What we receive is not just simple bread but it’s the Body of our Lord we are accepting. And our hands, being tainted with sins, do not deserve to touch it. Though there were instances when it’s encouraged by some parishes to receive communion by the hand like when there’s a sickness outbreak on certain places. But it’s not always the case and it’s neither the standard nor the proper way. And the possibility of dropping the host and other abuses to the Eucharist are more possible when received by hand. I remember thrice that I saw the holy Eucharist dropped during communion. I called on the attention of the guy who dropped Him and just ignored it. The correct way is he should pick Him up and eat Him. And also called the attention of the lay ministers twice when it happened and they did not notice it. There’s a proper way to handle it if it happens and we must also be aware of it. The next time you’ll be receiving communion, hope you can grant my simple request which is to receive communion by tongue. If possible, do it kneeling as well. 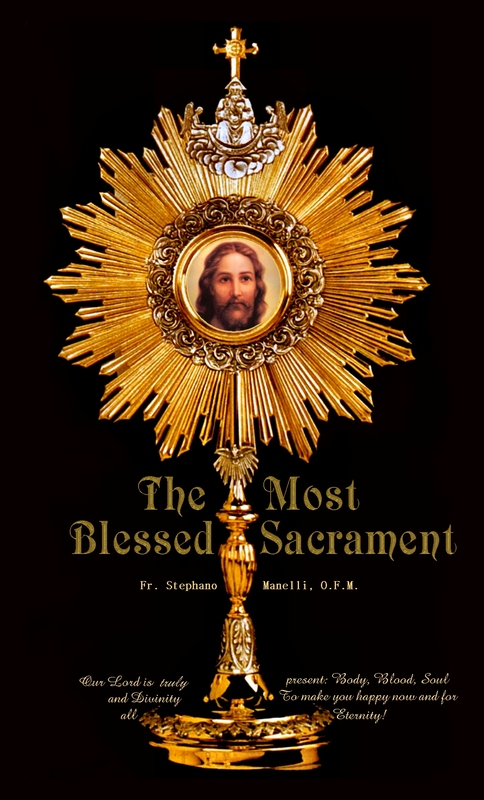 Let’s have more respect and reverence to the holy sacrament. We are intercessors for one another. As one big family, we are all brothers and sisters. I hope that you include me and my family in your daily prayers. Please pray for our safety and guidance. Ask God to provide me strength; physical, spiritual, emotional and mental to fight all kinds of temptations and hardships that will come in my way and to stay faithful to our Lord God. I always include you in my daily prayers. I may not be able to say all your names but I include all of you in general even those whom I don’t know personally. Or even when you’re not done with all of them. Or even none of them. But I hope that you consider my wish as these are the things that I would really love to receive this Christmas. A gift that will benefit every one of us and is dedicated to the One who’s the real reason for the season, our Lord Jesus Christ. Merry Christmas to all of you. 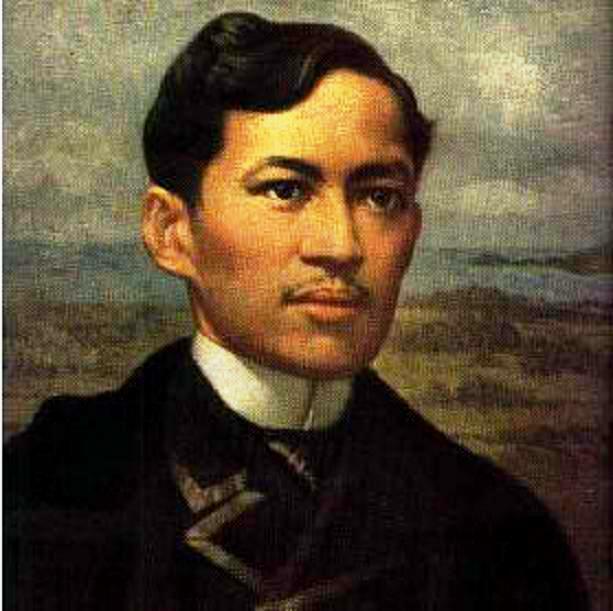 Thank you, thank you, ambabait ninyo, thank you! I always fear for my child’s future. The negative possibilities always come up to mind. What if I lose my job tomorrow? What if something bad happens to me or his mom? Or it could also be something bigger. It could be as big as a national problem like an epidemic or a war or anything bad that you could imagine. I’m sure that most parents have thought of the same things. It’s natural for moms and dads to be protective of their children’s welfare. With these things in mind, we all strive to provide all their needs. And we get occupied in providing them a better future, but might be too occupied from shaping them to be better in the future. Parents will try to provide their children’s needs as much as possible and at times even more than what’s basic. We feed them good food to ensure they are healthy. We buy them clothes. We work hard for their education. Many parents will say they won’t let their kids experience the hardships they encountered in life. Sounds noble. I too wouldn’t want my son to go through most of the bad things that I had. And we try so hard to give them everything that we forget we’re being selfish on giving what’s more important for them. We shield them away from the challenges and difficulties which tested our character . The things that taught us hard lessons which made us what we are now. We keep them in so much comfort until they get to meet the hardships too late. We deprive them of learning from life itself. Every time I look at my son, I see a full-grown man in him. A future citizen. He’ll become a head of a family or a group soon. This little fellow would be in authority one day. He’ll have responsibilities. He will be assigned and will assign tasks. All of those will happen one day. 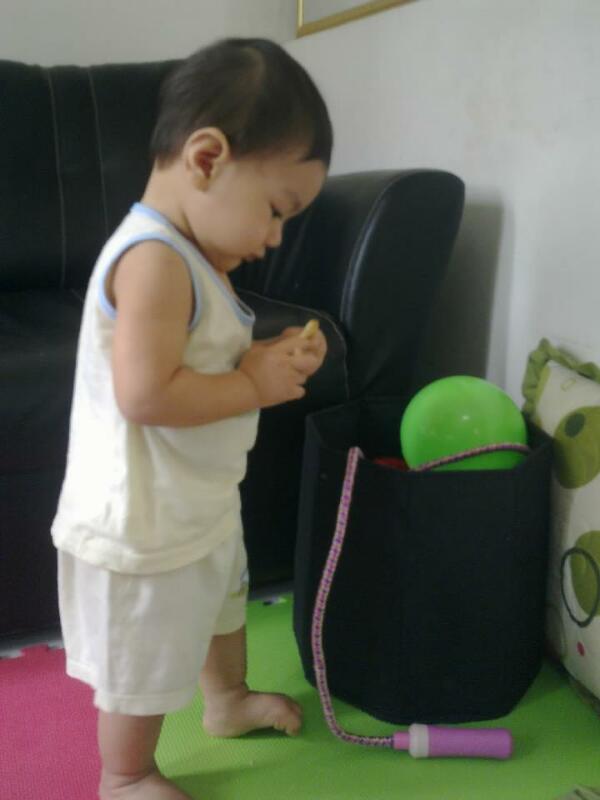 It’s my role to prepare him for that moment starting from day one. He’s a child now but won’t be for long. Same as the other kids. They will replace us someday. And more than the material things they need is to be equipped with the right virtues and wisdom so they can perform better than our generation. The foundation of the future depends on how much we strengthen the young. Youth is the hope according to our great hero. And it's our hands that build them. Let them stumble and stand on their own but support them. Give them freedom to decide but guide them. Let them think for themselves but always be there to answer questions. Let them try and experience success. And more so, to experience failures. For these things is what will build their character. And collectively as a generation they will build the future of our society. My wife and I are doing lots of preparation for our family’s future like getting an insurance, doing investments and others to ensure that our son would be fine financially. We’re still far from being okay but at least we started already. I also created this blog that once he grows up, he’ll be able to read my thoughts and the lessons that I wanted to teach him. And I won’t have the burden to repeat them in case my memory starts failing. And this specific post will be here to remind me to take it easy on making everything so easy for him so that his uncertain future will be easier for him to handle.